Ah, how stereotypes abound. And while we applaud the strides that our modern society has made, there is still one fallacy that seems to persist. This is the attitude that “yoga is just for women,” and many men shy away from yoga, not because the benefits of yoga don’t apply to them, but because they don’t want to be “that guy” in a class full of women. 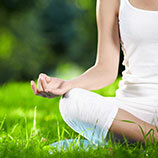 Indeed, in 2012, 83 percent of the yoga practitioners in the United States were women, according to the Yoga Journal. Fortunately, even this is now changing. Yoga has become very popular with men in New York City, and this trend is now migrating towards Boston. Here at Every Body Balance, we’ve already seen a growing number of men in our yoga classes, so if you’re a guy and have been thinking about checking out Yoga, never fear–there are already guys in some of our classes, so you won’t be uncomfortable. Yoga was invented by men. More than 5000 years ago, the Brahman priests in northern India developed the beginnings of what became the practice of yoga that we know today. Yoga develops strength, agility, and flexibility. If you try it once, you’ll agree: Yoga is not for the faint of heart, and it will make you a better athlete in other disciplines. Yoga helps to relieve stress and calm your mind. Men are under more stress than ever today, and you should know techniques that you can do even right at your desk to reduce stress. Yoga targets your core muscles and stabilizers, increases your range of motion, and helps to reduce your risk of injury. If you’re a man in the Southborough area, come to our yoga studio to check out the benefits of yoga today. Sign up for your first class!